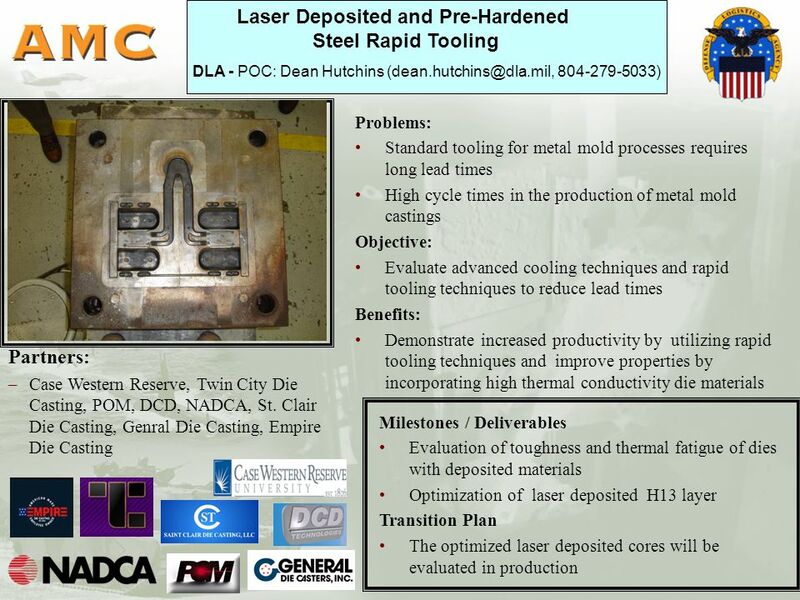 Laser Deposited and Pre-Hardened Steel Rapid Tooling Case Western Reserve University / NADCA David Schwam. 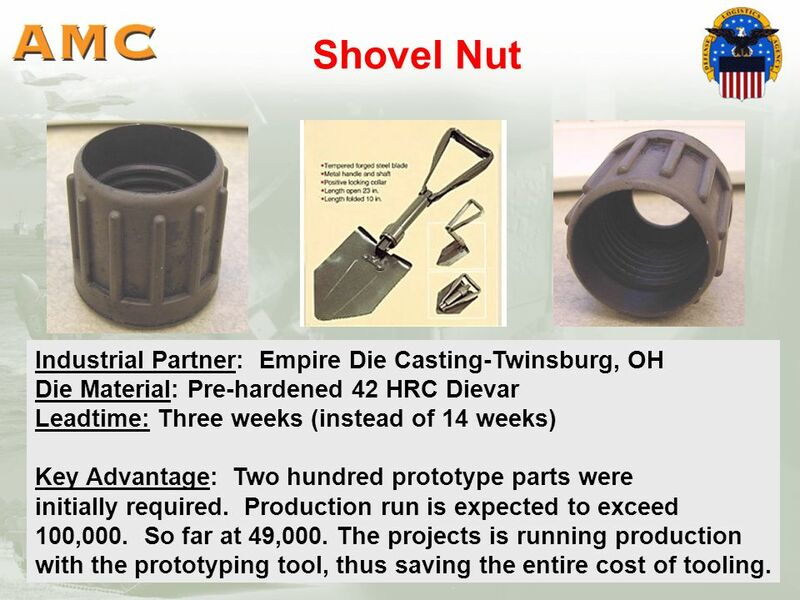 4 Shovel Nut DLA part. 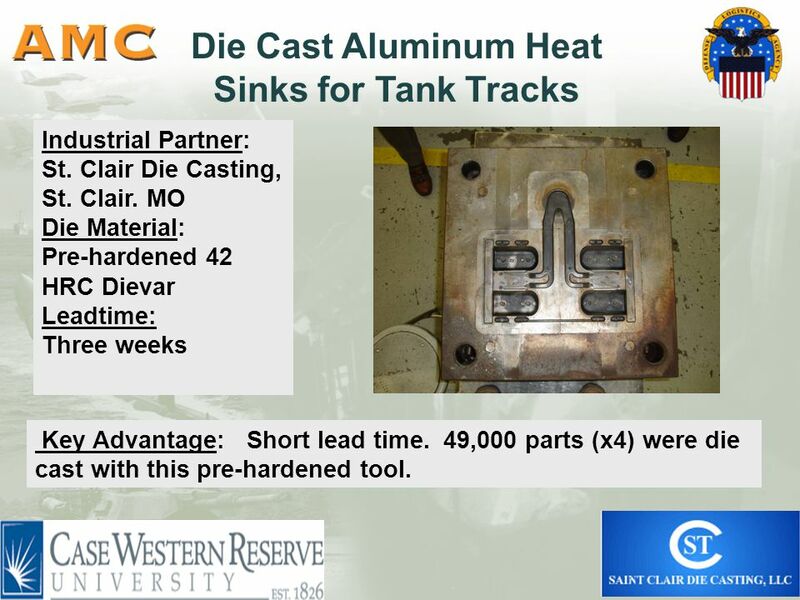 Industrial Partner: Empire Die Casting-Twinsburg, OH Die Material: Pre-hardened 42 HRC Dievar Leadtime: Three weeks (instead of 14 weeks) Key Advantage: Two hundred prototype parts were initially required. 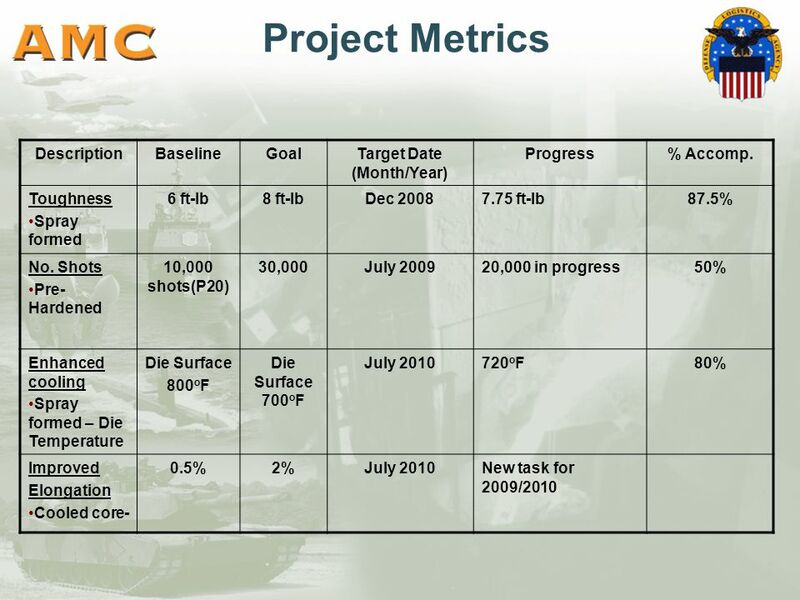 Production run is expected to exceed 100,000. So far at 49,000. 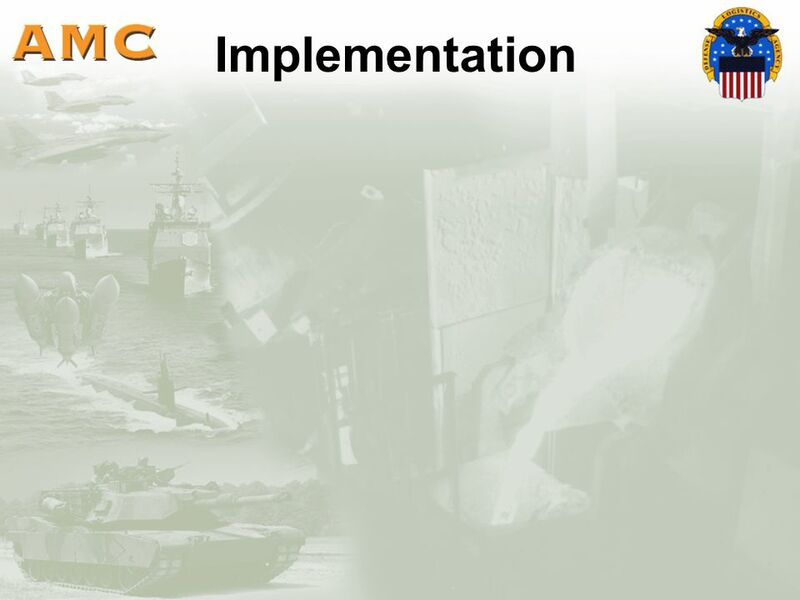 The projects is running production with the prototyping tool, thus saving the entire cost of tooling. 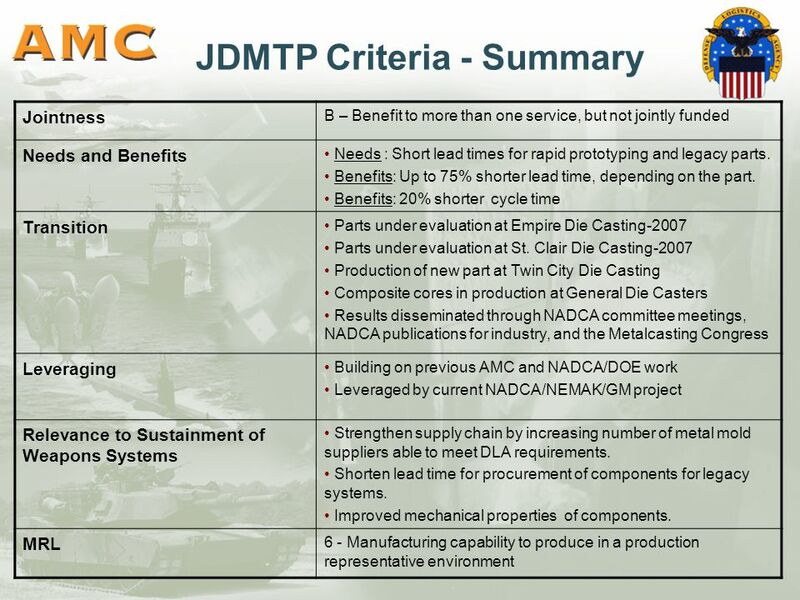 12 Implementation at Twin Cities Die Casting Anticipated production was 40,000 parts Using Pre-hardened tool steels of various types. 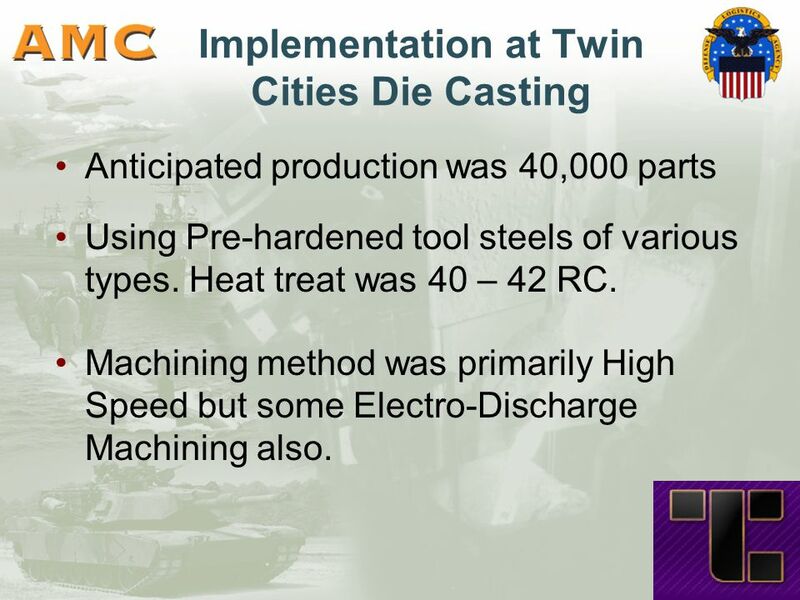 Heat treat was 40 – 42 RC. 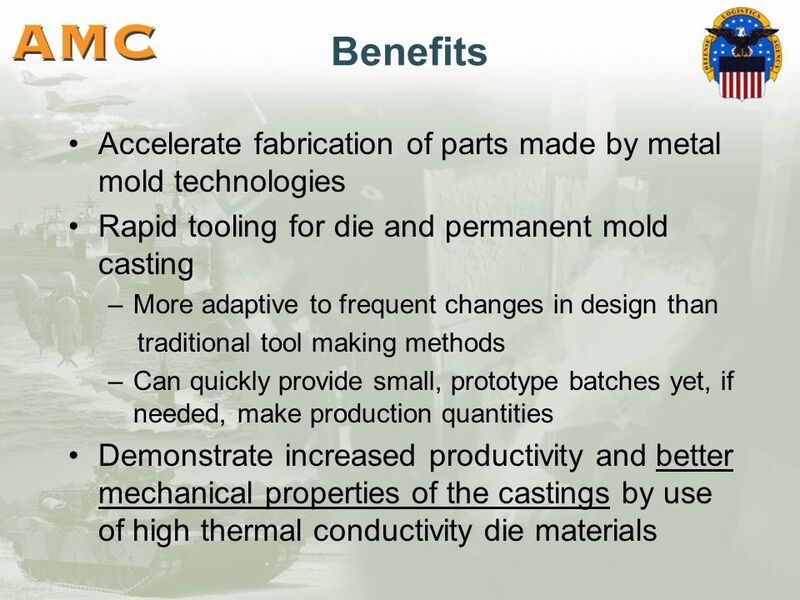 Machining method was primarily High Speed but some Electro-Discharge Machining also. 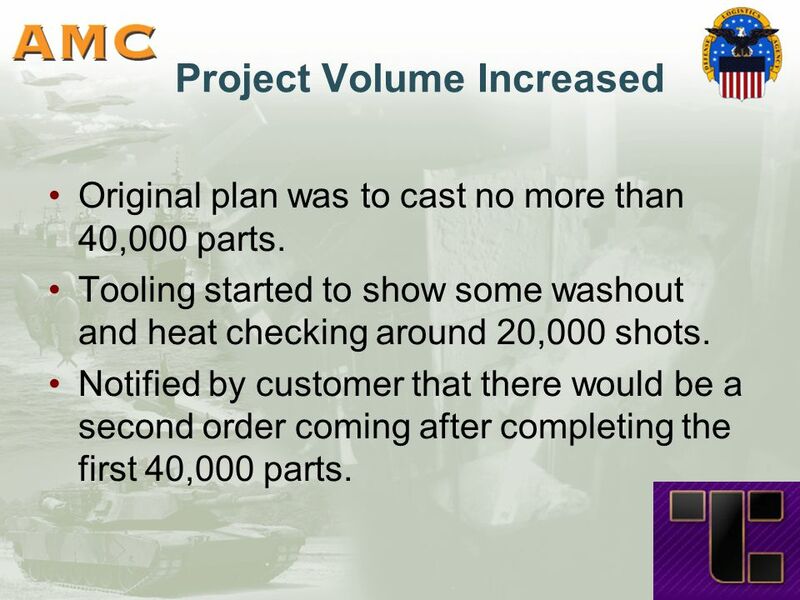 13 Project Volume Increased Original plan was to cast no more than 40,000 parts. 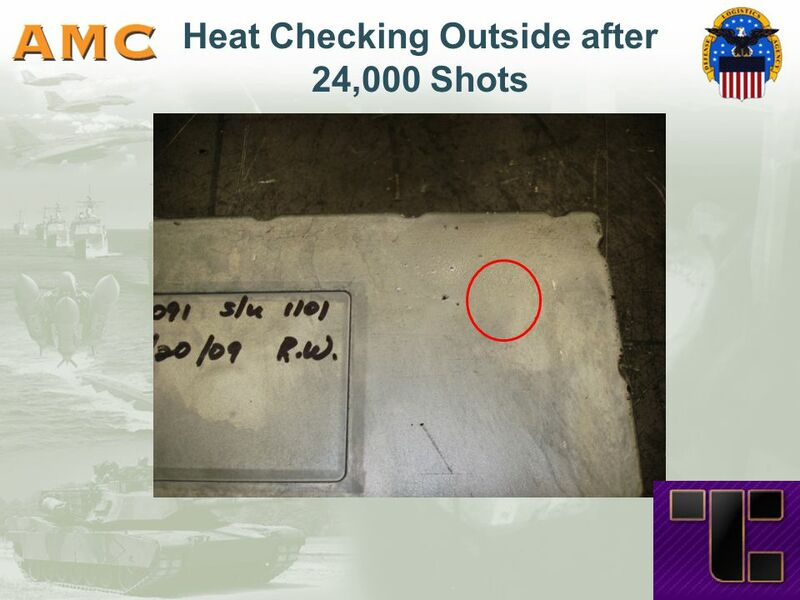 Tooling started to show some washout and heat checking around 20,000 shots. 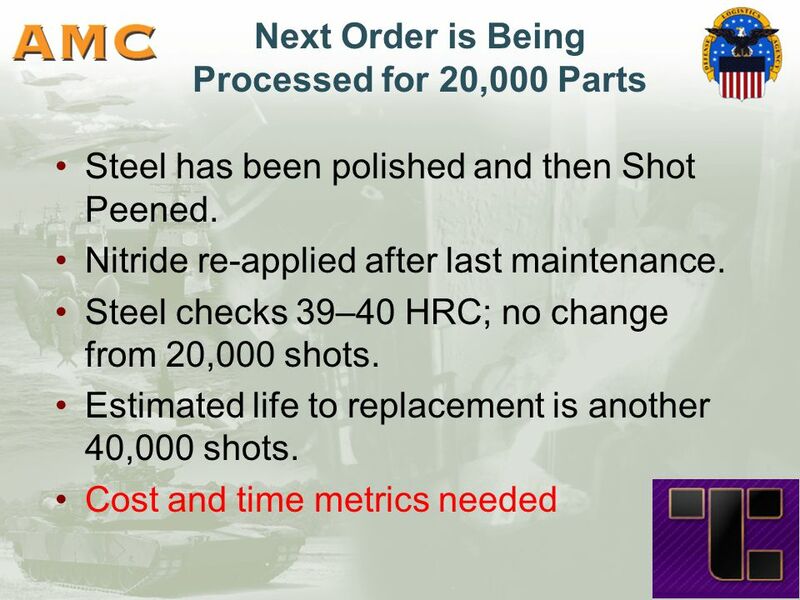 Notified by customer that there would be a second order coming after completing the first 40,000 parts. 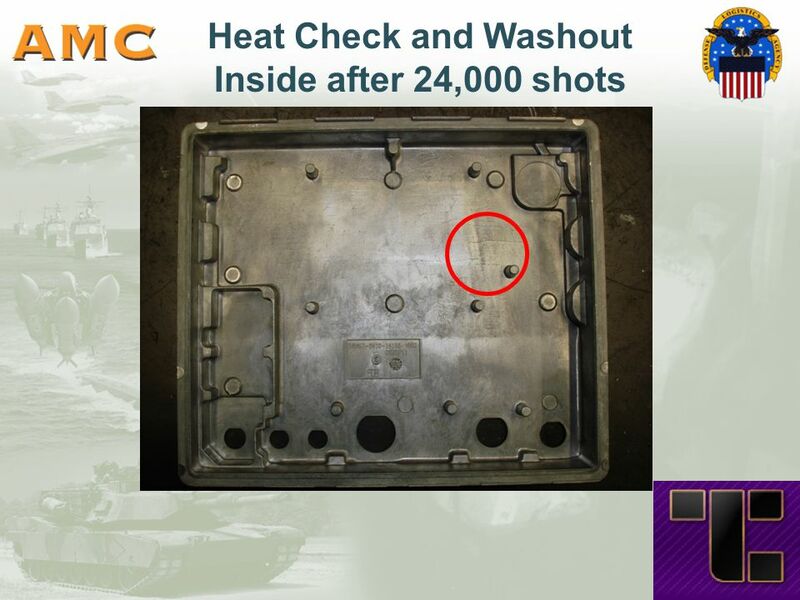 16 Steel Repair Method Steel checked for hardness. 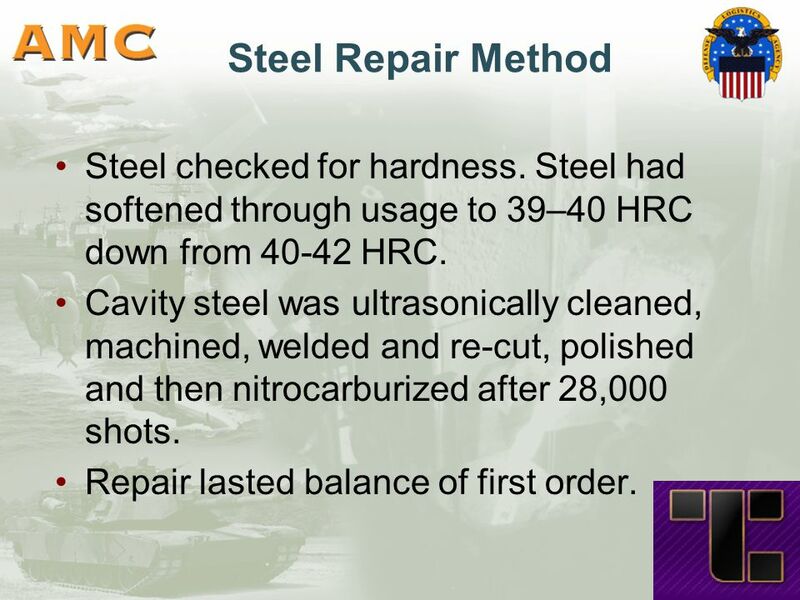 Steel had softened through usage to 39–40 HRC down from 40-42 HRC. 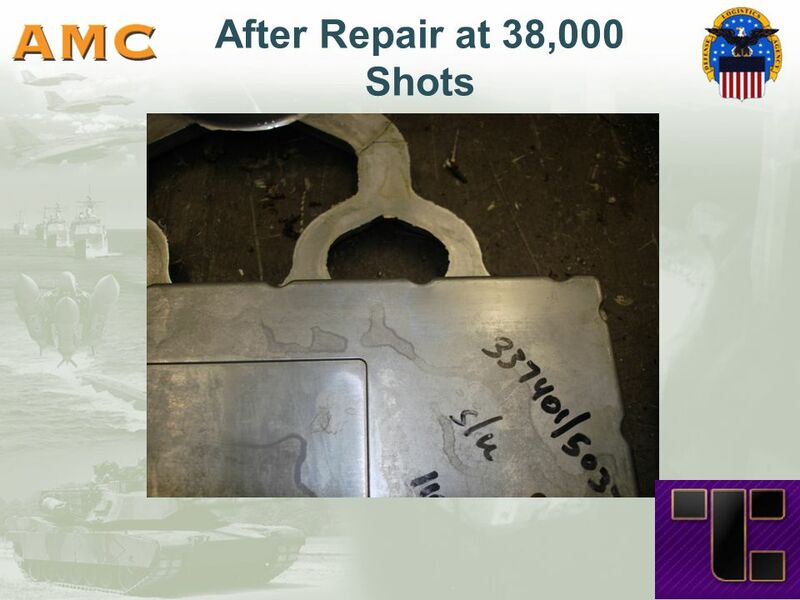 Cavity steel was ultrasonically cleaned, machined, welded and re-cut, polished and then nitrocarburized after 28,000 shots. 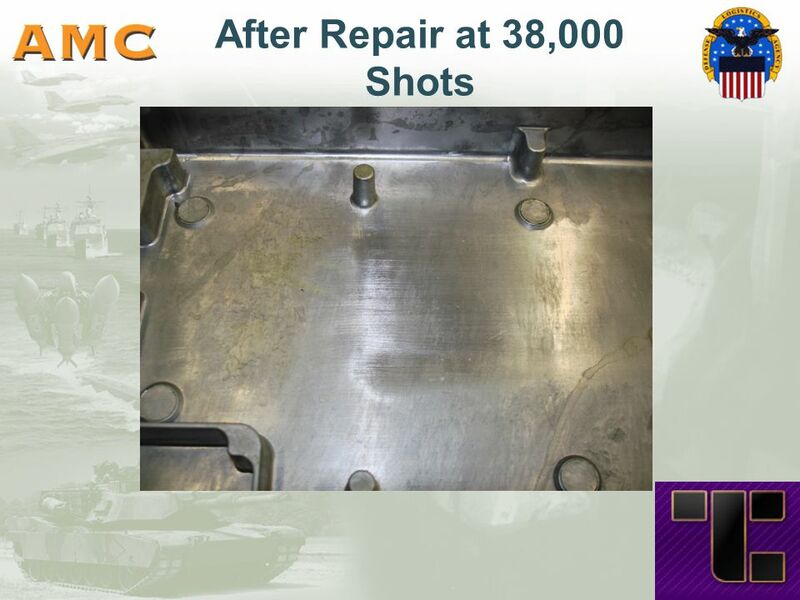 Repair lasted balance of first order. 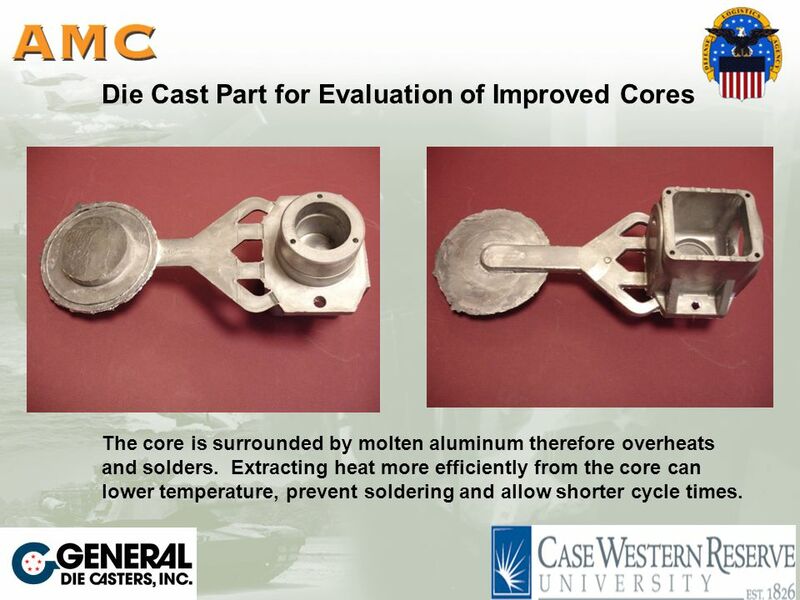 23 Die Cast Part for Evaluation of Improved Cores The core is surrounded by molten aluminum therefore overheats and solders. 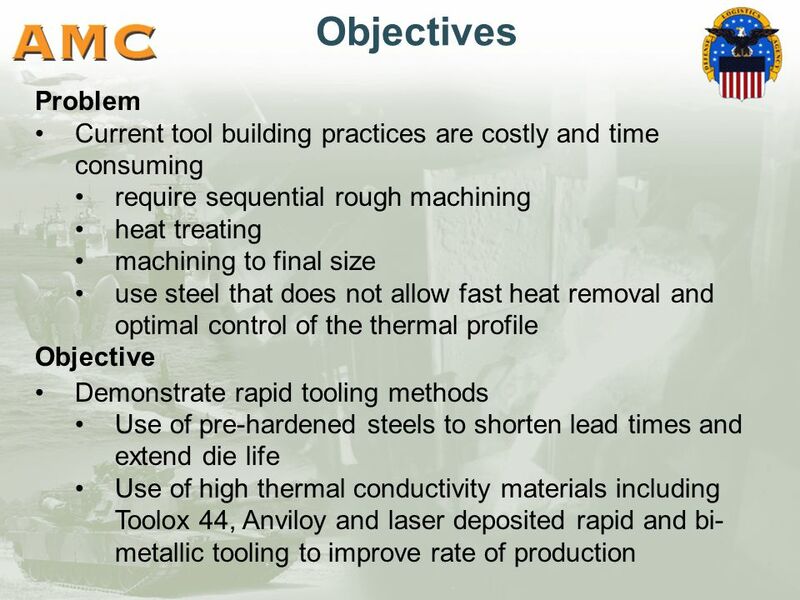 Extracting heat more efficiently from the core can lower temperature, prevent soldering and allow shorter cycle times. 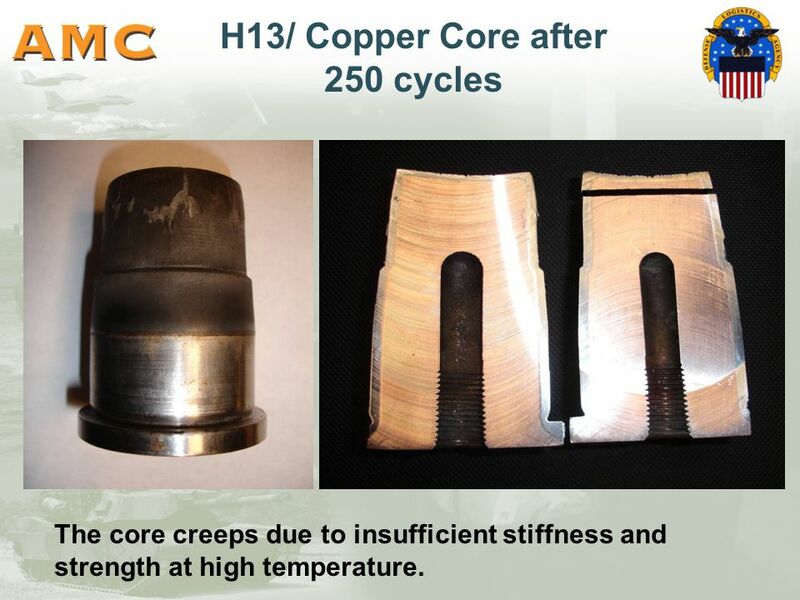 25 H13/ Copper Core after 250 cycles The core creeps due to insufficient stiffness and strength at high temperature. 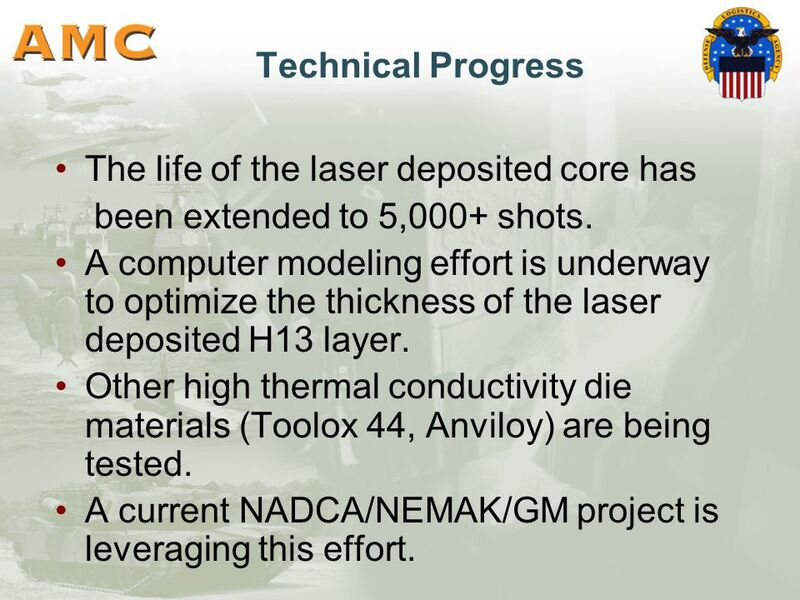 27 Technical Progress The life of the laser deposited core has been extended to 5,000+ shots. 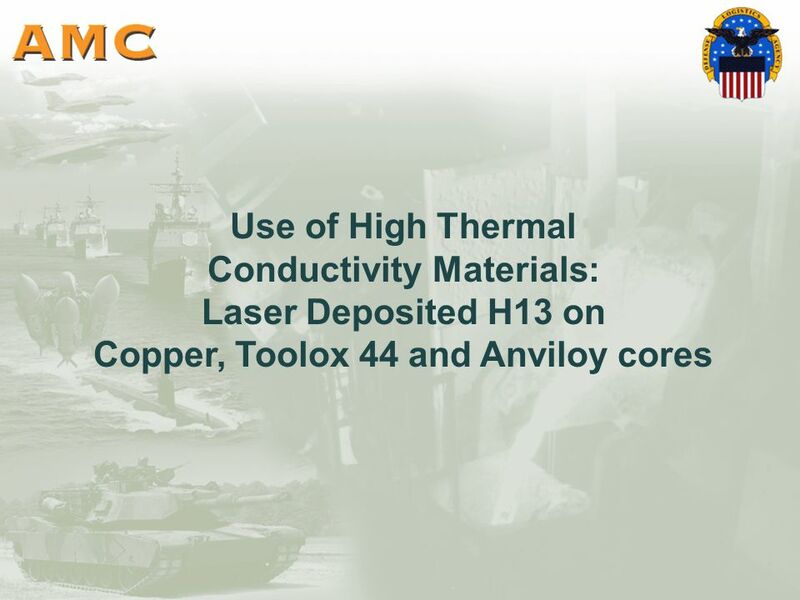 A computer modeling effort is underway to optimize the thickness of the laser deposited H13 layer. 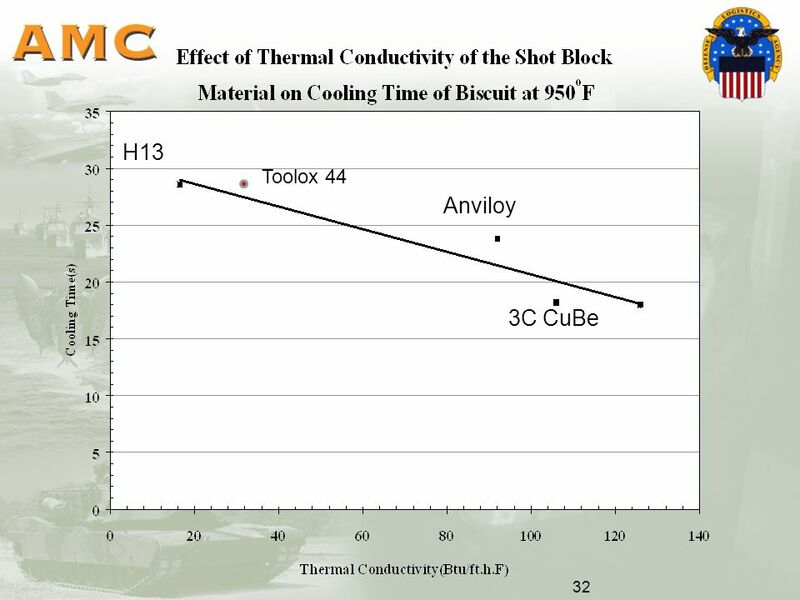 Other high thermal conductivity die materials (Toolox 44, Anviloy) are being tested. 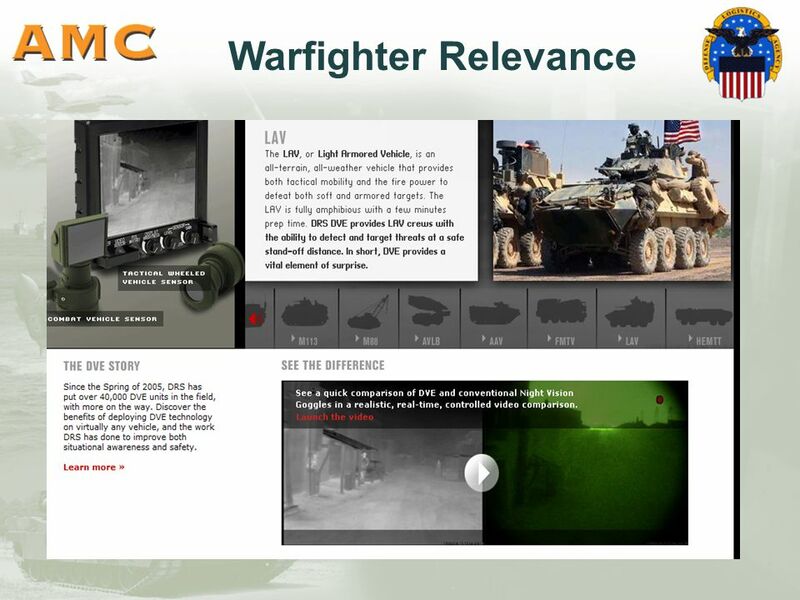 A current NADCA/NEMAK/GM project is leveraging this effort. 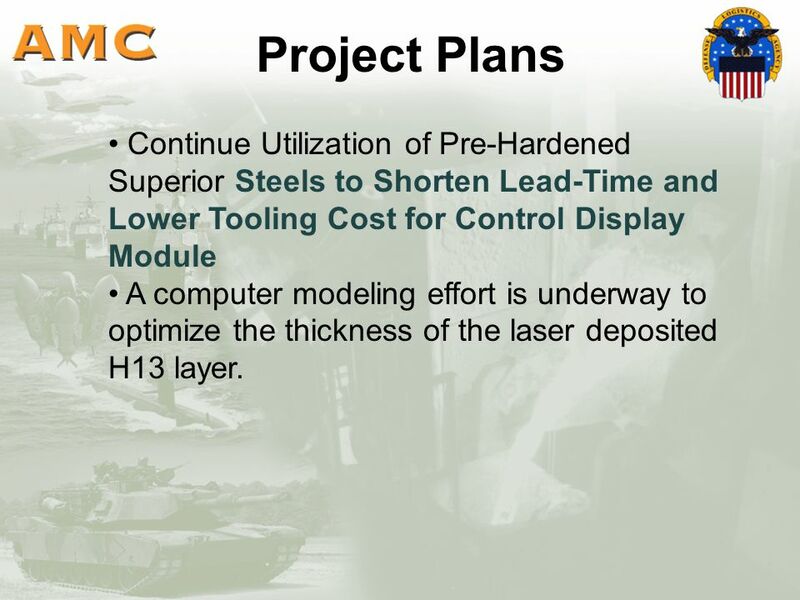 30 Project Plans High cooling rates the mechanical properties. 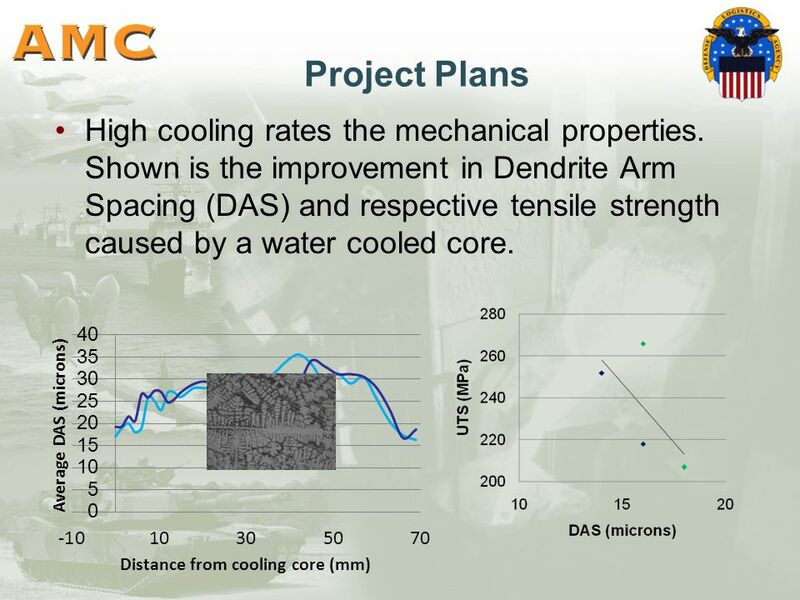 Shown is the improvement in Dendrite Arm Spacing (DAS) and respective tensile strength caused by a water cooled core. 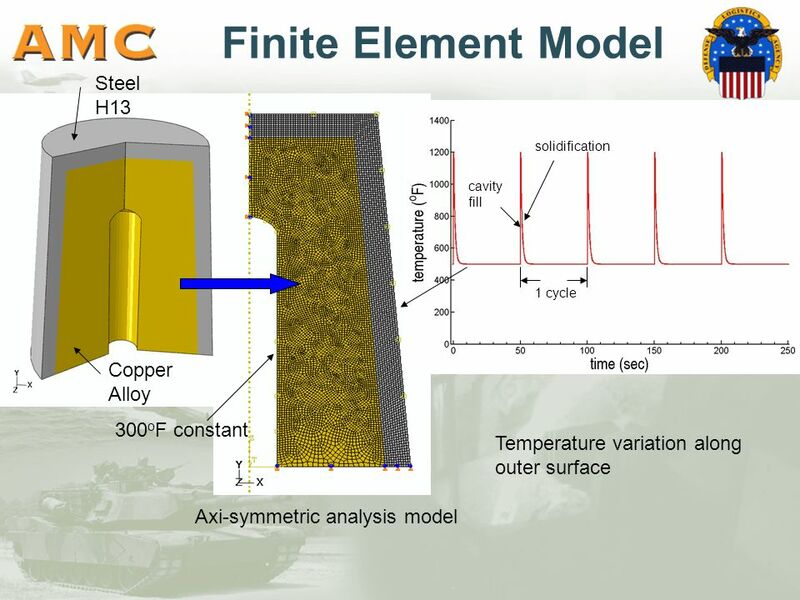 35 Conclusions Use of high conductivity alloys in die components can shorten cycle time significantly. In the present case, the cycle time dropped from 55 sec. 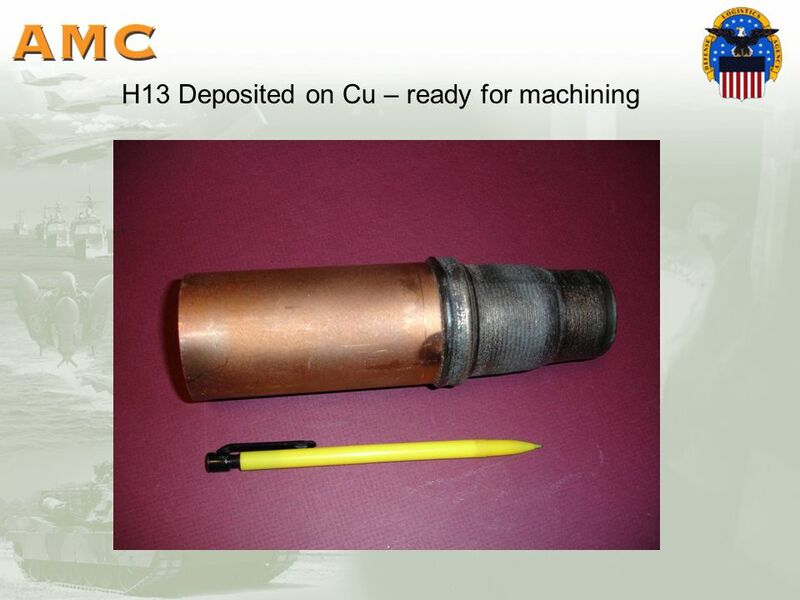 for H13 to 40 sec. 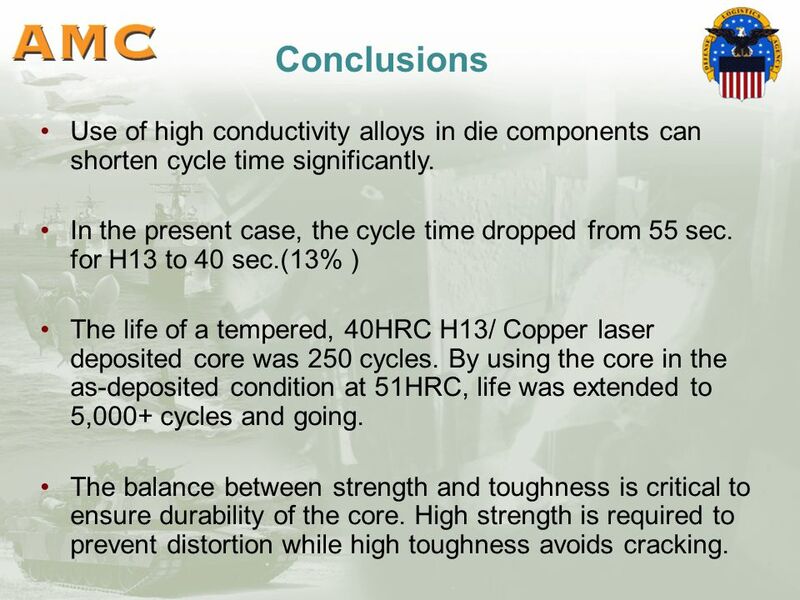 (13% ) The life of a tempered, 40HRC H13/ Copper laser deposited core was 250 cycles. 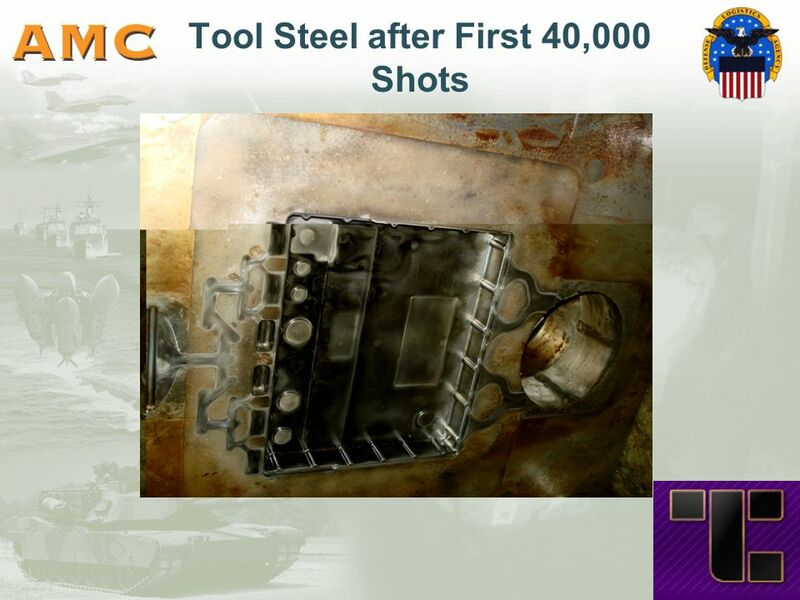 By using the core in the as-deposited condition at 51HRC, life was extended to 5,000+ cycles and going. 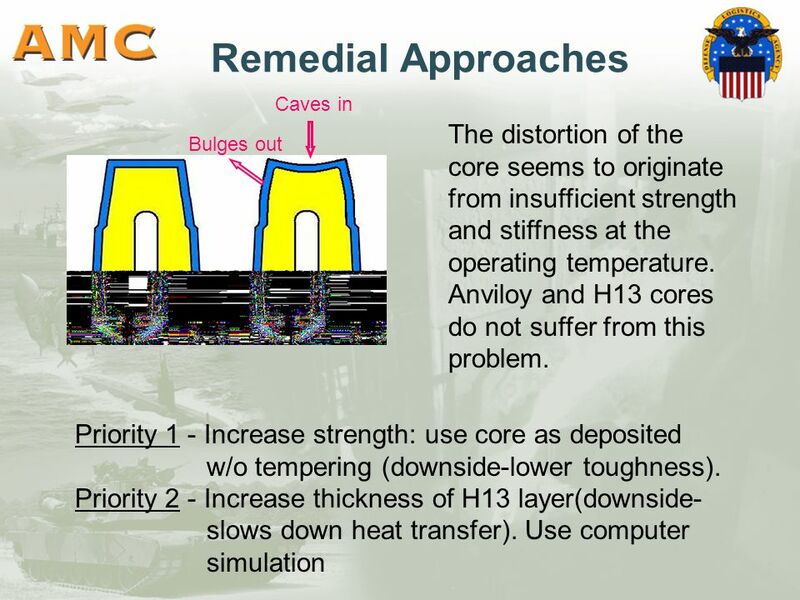 The balance between strength and toughness is critical to ensure durability of the core. 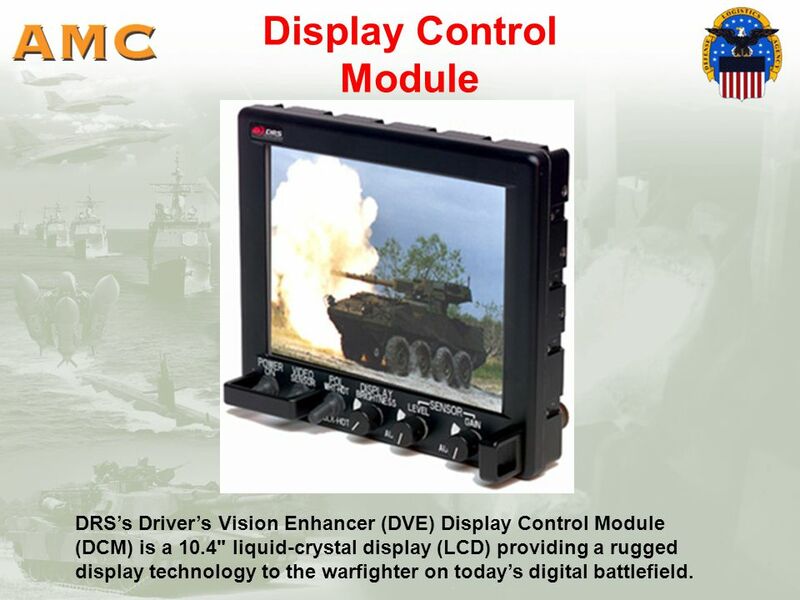 High strength is required to prevent distortion while high toughness avoids cracking. 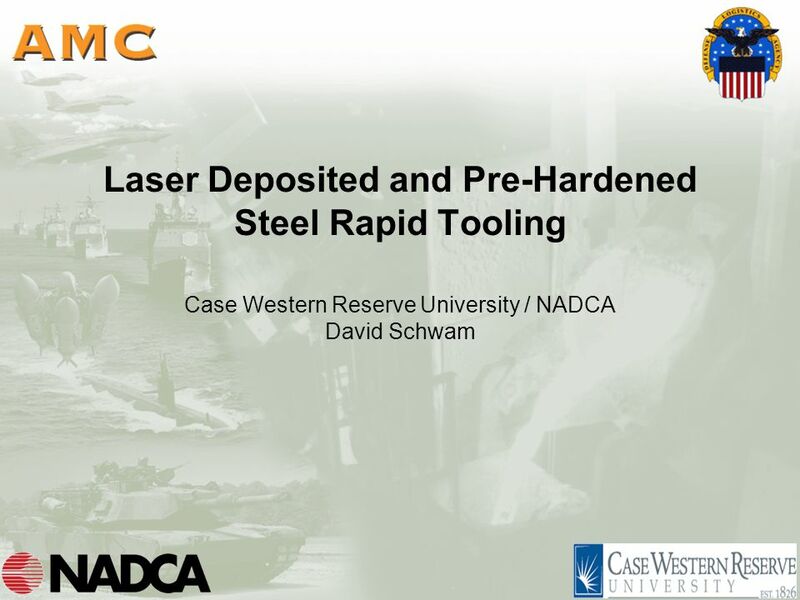 Download ppt "Laser Deposited and Pre-Hardened Steel Rapid Tooling Case Western Reserve University / NADCA David Schwam." NADCA STAFF PROJECTS UPDATE Presentation for R&D Committee Meeting NADCA Headquarters, Wheeling, IL June 14, 2007. 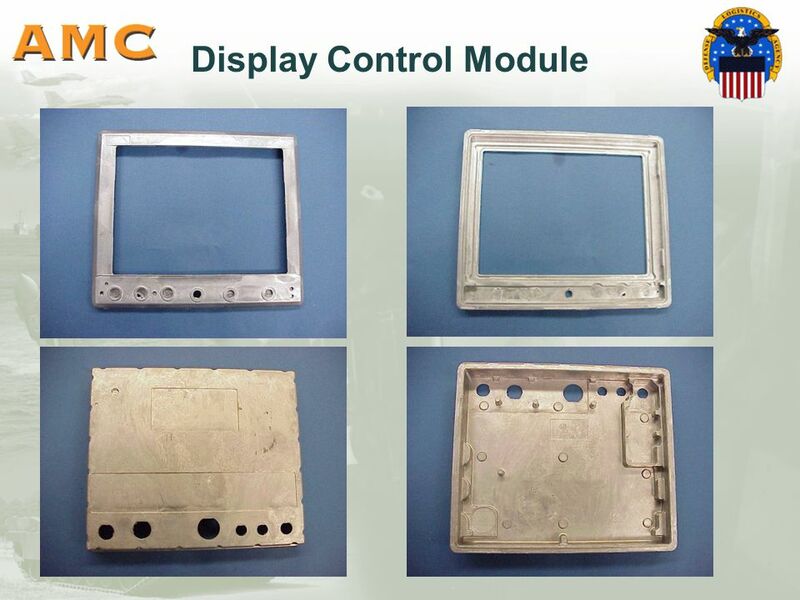 Toll Free # Aluminum has 5 times better heat transfer than P20 steel Aluminum has almost 6 times better heat transfer compared to H-13 Steel. Mohammad Irfan, David Schwam (CWRU) Andy Karve, Randy Ryder (Neemak) Mike Cox, John Kubisch (GM) February, 2009. 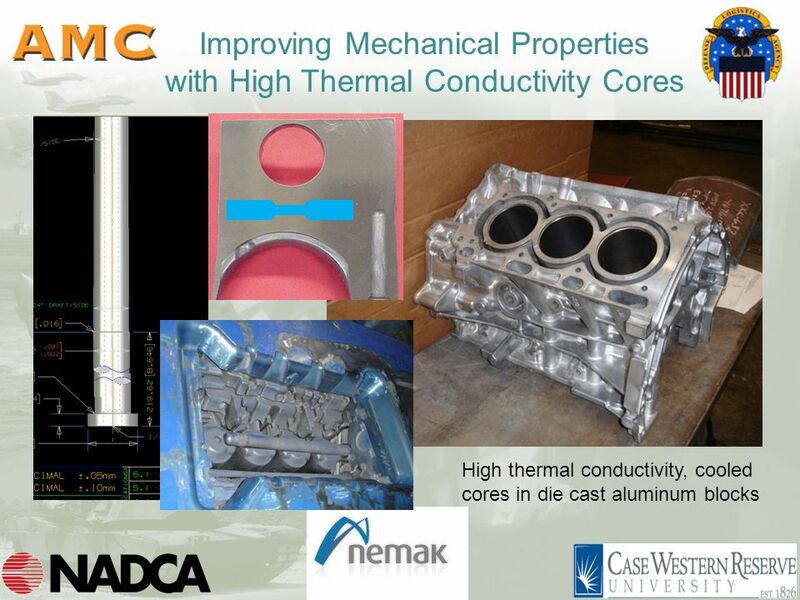 EFFECT OF DESIGN FACTORS ON THERMAL FATIGUE CRACKING OF DIE CASTING DIES John F. Wallace David Schwam Sebastian Birceanu Case Western Reserve University. 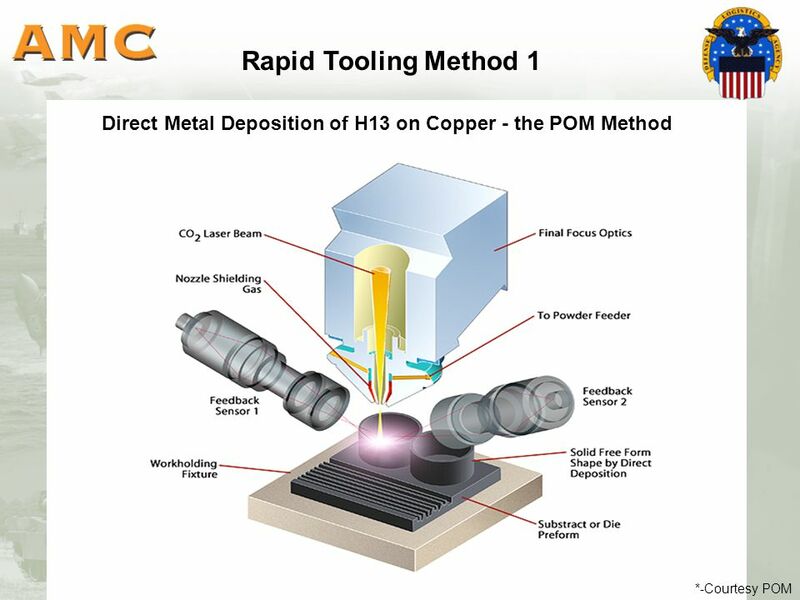 UNIT 2: Physical Properties of Metals Unit 2 Copyright © MDIS. All rights reserved. 1 Manufacturing Engineering. 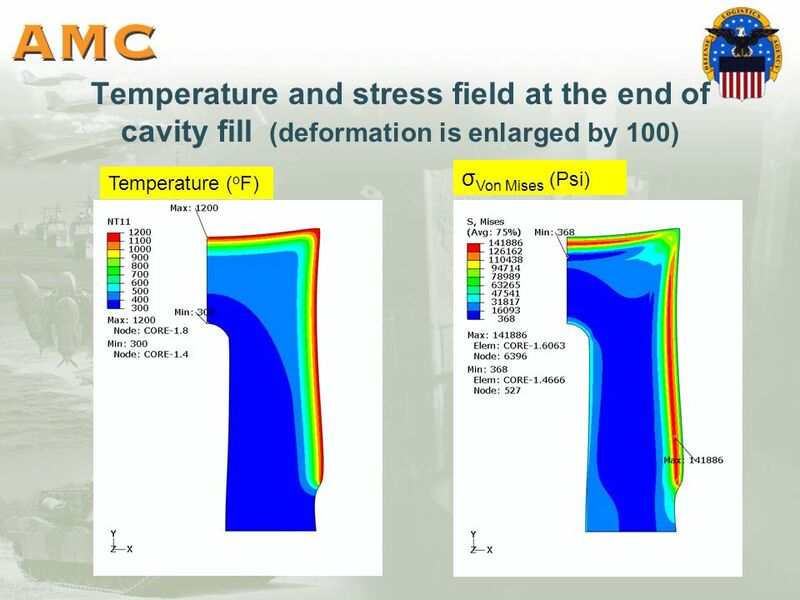 The Effect of Spraying on Thermal Fatigue Cracking David Schwam, X.J. Zhu and J.F. Wallace Case Western Reserve University NADCA DMC February 20, 2007. 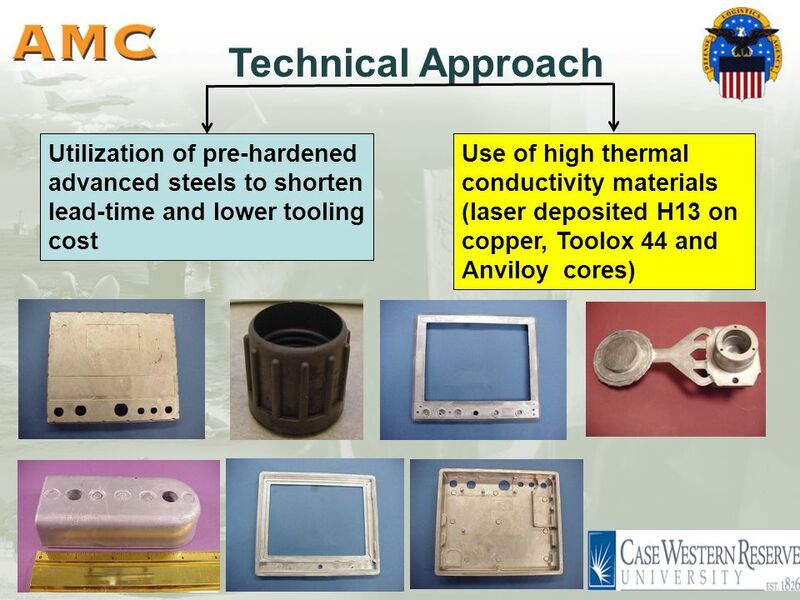 Effect of Cooling Line and Hardness on Thermal Fatigue Cracking Behavior John F. Wallace, David Schwam, Jain Nitin, Xiaohua Hu and Yulong Zhu Case Western. 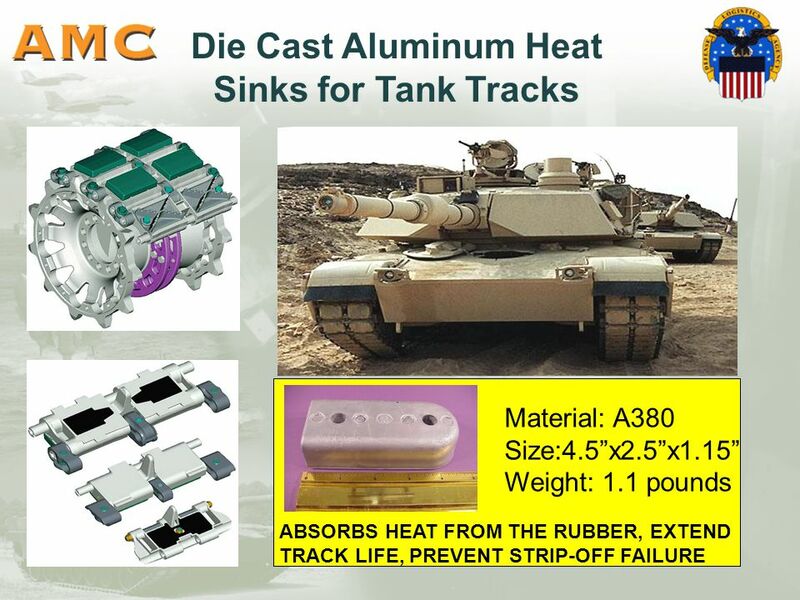 North American Die Casting Association – 114 th Metalcasting Congress CastExpo’10, March 20-23, 2010 Orlando, Florida USA Diamond Polishing to Extend Cavity. 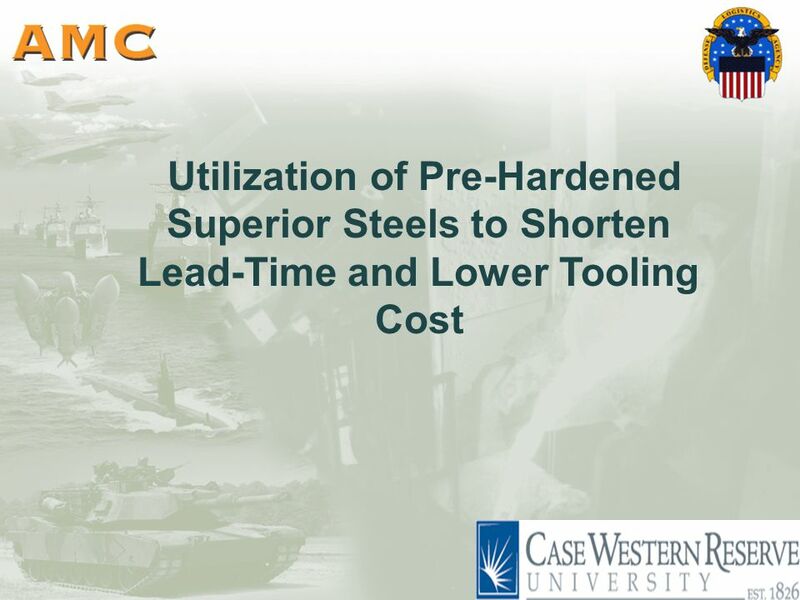 Optimization of Laser Deposited Rapid Tooling D. Schwam and Y. Wang Case Western Reserve University NADCA DMC, Chicago – Feb.17, 2010 1.